‘Skin for Skin’ features garments that have been carefully, manually screen printed. The unique print was developed from a piece of cardboard; a layer of paint was applied to the surface and then once dried, a thin layer of cracking medium was applied on top. During the drying process the paint began to crack, resulting in an organic and textural pattern. The piece of cardboard was then scanned into the computer and refined into a print. The design was then exposed onto a screen and printed onto the denim in a repeat pattern. The print features three layers, a mid-tone grey under layer, a light grey middle layer and a white puff-paint layer on top. The different shades of grey and use of puff-paint create a depth of layers and textures to the surface of the fabric. ‘Skin for Skin’ features two different methods of the devore (burn out) technique. One; the devoré paste (Fibre Etch) has been hand painted onto the surface of the wrong side of the raw, white velvet. This process dissolves the rayon fibres, leaving the silk fibres in-tact. This method creates a beautifully organic and painterly finish. Two; uses a combination of the devoré technique and screen printing. 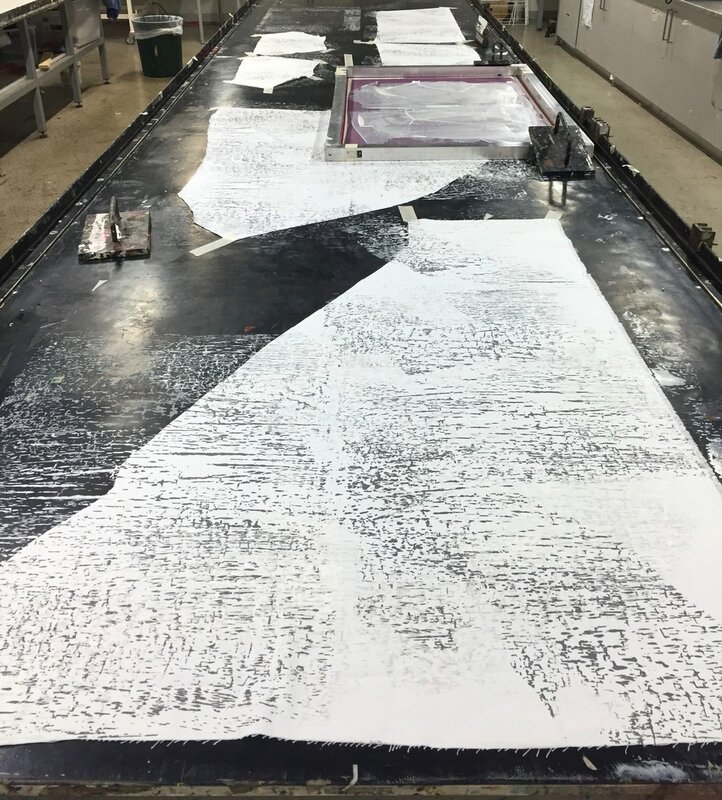 Devoré paste has been screen printed on the surface of the wrong side of the raw, white velvet, once again dissolving the rayon fibres and leaving the silk fibres in-tact. This method creates areas of negative space that mirrors the print featured on the denim garments within this collection, tying all the pieces together. The use of the devoré technique creates a beautiful pattern and a contract between the raised and flat surfaces of the final fabric. 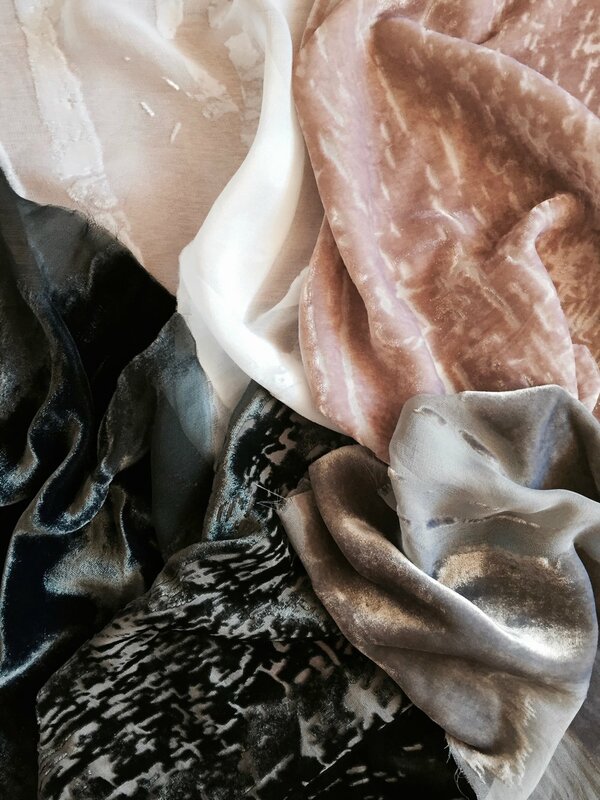 Once the devoré technique has been applied to the velvet most pieces were then carefully hand-dyed to a meticulously selected colour.